Originally published in Creation 21, no 3 (June 1999): 39-41. Sydney has its beautiful harbour and famous bridge, its Opera House and golden beaches, but it also has some unique and characteristic rock formations. Every major, world-recognized city has its unique landmarks and features. Sydney, Australia’s oldest city (settled in 1788) and largest (more than 3.5 million people), and soon to host the 2000 Summer Olympics, is no exception. It has its beautiful harbour and famous bridge, its Opera House and golden beaches, but it also has some unique and characteristic rock formations. The Hawkesbury Sandstone, named after the Hawkesbury River just north of Sydney, dominates the landscape within a 100 km (60 mile) radius of downtown Sydney. It is a flat-lying layer of sandstone, some 20,000 sq. km (7,700 sq. miles) in area and up to 250 metres (820 feet) thick.1 Dominated by grains of the mineral quartz2 (which is chemically very similar to window glass, and harder than a steel file), the sandstone is a hard, durable rock which forms prominent cliffs, such as at the entrance to Sydney Harbour and along the nearby coastline. Despite the widespread, spectacular exposures of the Hawkesbury Sandstone, there is a long history of speculation about its origins, going back to Charles Darwin.3 Rather than consisting of just one sandstone bed encompassing its total thickness, the Hawkesbury Sandstone is made up of three principal rock types—sheet sandstone, massive sandstone and relatively thin mudstone.4 Each has internal features that indicate deposition in fast-flowing currents, such as in a violent flood.5 For example, thin repetitive bands sloping at around 20° within the flat-lying sandstone beds (technically known as cross-beds), sometimes up to 6 metres (20 feet) high, would have been produced by huge sandwaves (like sand dunes) swept along by raging water. Fossils in the sandstone itself are rare. However, spectacular fossil graveyards have been found in several lenses (lenticular bodies of only limited extent) of mudstone.6 Many varieties of fish and even sharks have been discovered in patterns consistent with sudden burial in a catastrophe. Some such graveyards contain many plant fossils. The Hawkesbury Sandstone has been assigned a Middle Triassic “age” of around 225–230 million years by most geologists.7,8,9 This is based on its fossil content, and on its relative position in the sequence of rock layers in the region (the Sydney Basin). 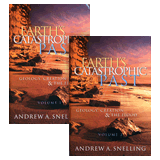 All of these are placed in the context of the long ages timescale commonly assumed by geologists. Because of its hardness and durability, the Hawkesbury Sandstone not only provides a solid foundation for downtown Sydney’s skyscrapers, but is an excellent building material. A number of Sydney’s old buildings have walls of sandstone blocks. Today, the Hawkesbury Sandstone is mainly used for ornamental purposes. 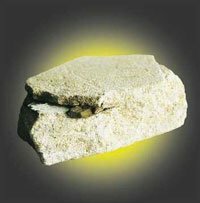 To obtain fresh sandstone, slabs and blocks have to be carefully quarried. Several quarries still operate in the Gosford area just north of Sydney, and one near Bundanoon to the south-west. In June 1997 a large finger-sized piece of fossil wood was discovered in a Hawkesbury Sandstone slab just cut from the quarry face at Bundanoon (see photo, right).10 Though reddish-brown and hardened by petrifaction, the original character of the wood was still evident. Identification of the genus is not certain, but more than likely it was the forked-frond seed-fern Dicroidium, well known from the Hawkesbury Sandstone.11,12 The fossil was probably the wood from the stem of a frond. Because this fossil wood now appears impregnated with silica and hematite, it was uncertain whether any original organic carbon remained, especially since it is supposed to be 225–230 million years old. Nevertheless, a piece of the fossil wood was sent for radiocarbon (14C) analysis to Geochron Laboratories in Cambridge, Boston (USA), a reputable internationally-recognized commercial laboratory. This laboratory uses the more sensitive accelerator mass spectrometry (AMS) technique, recognized as producing the most reliable radiocarbon results, even on minute quantities of carbon in samples. The laboratory staff were not told exactly where the fossil wood came from, or its supposed evolutionary age, to ensure there would be no resultant bias. Following routine lab procedure, the sample (their lab code GX–23644) was treated first with hot dilute hydrochloric acid to remove any carbonates, and then with hot dilute caustic soda to remove any humic acids or other organic contaminants. After washing and drying, it was combusted to recover any carbon dioxide for the radiocarbon analysis. The analytical report from the laboratory indicated detectable radiocarbon had been found in the fossil wood, yielding a supposed 14C “age” of 33,720 ± 430 years BP (before present). This result had been “13C corrected” by the lab staff, after they had obtained a d13CPDB value of –24.0 ‰.13 This value is consistent with the analyzed carbon in the fossil wood representing organic carbon from the original wood, and not from any contamination. Of course, if this fossil wood really were 225–230 million years old as is supposed, it should be impossible to obtain a finite radiocarbon age, because all detectable 14C should have decayed away in a fraction of that alleged time—a few tens of thousands of years. Anticipating objections that the minute quantity of detected radiocarbon in this fossil wood might still be due to contamination, the question of contamination by recent microbial and fungal activity, long after the wood was buried, was raised with the staff at this, and another, radiocarbon laboratory. Both labs unhesitatingly replied that there would be no such contamination problem. Modern fungi or bacteria derive their carbon from the organic material they live on and don’t get it from the atmosphere, so they have the same “age” as their host. Furthermore, the lab procedure followed (as already outlined) would remove the cellular tissues and any waste products from either fungi or bacteria. This is, therefore, a legitimate radiocarbon “age.” However, a 33,720 ± 430 years BP radiocarbon “age” emphatically conflicts with, and casts doubt upon, the supposed evolutionary “age” of 225–230 million years for this fossil wood from the Hawkesbury Sandstone. 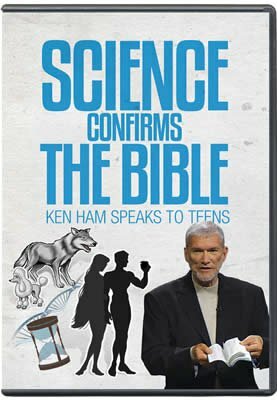 Correctly understood, this radiocarbon analysis is totally consistent with the biblical account of a young Earth and a recent global Flood, as recorded in Genesis by the Creator Himself. P.J. Conaghan, “The Hawkesbury Sandstone: gross characteristics and depositional environment,” NSW Geological Survey Bulletin 26:188–253, 1980. J.C. Standard, “Hawkesbury Sandstone,” The Geology of New South Wales, G.H. Packham (ed. ), Journal of the Geological Society of Australia 16(1):407–417, 1969. C. Darwin, Geological Observations on Volcanic Islands, 1844. Reprinted in: On the Structure and Distribution of Coral Reefs …, G.T. Bettany (ed. ), Ward and Lock, London, pp. 155–265, 1890. J. Woodford, “Rock doctor catches up with our prehistoric surf,” The Sydney Morning Herald, April 30, 1994, p. 2. A. A. Snelling, “An exciting Australian fossil fish discovery,” Creation 10(3):32–36, 1988. F.M. Gradstein and J. Ogg, “A Phanerozoic time scale,” Episodes 19(1&2):3–5 and chart, 1996. M.E. White, The Greening of Gondwana, Reed Books, Sydney, pp. 135–155, 1986. Answers in Genesis is indebted to Mr Stephen Vinicombe, then living in nearby Moss Vale, for this discovery, for sending the sample, and for information supplied in letters. d13CPDB denotes the measured difference of the ratio 13C/12C (both stable isotopes) in the sample compared to the PDB (Pee Dee Belemnite) standard—a fossil belemnite (a shellfish classified with octopuses and cuttlefish) in the Pee Dee Formation in the USA. The units used are parts per thousand, written as ‰ or per mil (compared with parts per hundred, written as % or per cent). Organic carbon from the different varieties of life gives different characteristic d13C values. Stable 12C would not have been totally replaced in the biosphere after the Flood, whereas 14C would have been regenerated in the atmosphere (from cosmic ray bombardment of nitrogen). So comparing today’s 14C/12C with the 14C/12C in pre-Flood material would yield too high a calibration, resulting in “ages” far too long.